Van, V-6 cyl 3.6L, 6 speed automatic, Front-wheel Drive, Regular Unleaded, 3 door, Bright Silver, Gray, 50 State Emissions,Additional Key Fobs,Cloth Bucket Seats,Engine: 3.6L V6 24V VVT,Passenger Double Seat,Quick Order Package 21A,Transmission: 6-Speed Automatic 62TE Please call 866-535-4812 for additional information and to speak with someone in our commercial truck sales. PROMASTER 1500 Base, Base, Your satisfaction is our business! 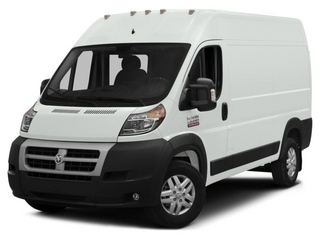 Introducing the 2016 Ram ProMaster 1500! Generously equipped and boasting stylish interior comfort, this vehicle challenges all competitors, regardless of price and class! Top features include power windows, a front bench seat, telescoping steering wheel, and air conditioning. Smooth gearshifts are achieved thanks to the refined 6 cylinder engine, and for added security, dynamic Stability Control supplements the drivetrain. We know that you have high expectations, and we enjoy the challenge of meeting and exceeding them! Please don't hesitate to give us a call., Power Folding/Heated Mirrors,Engine: 3.6L V6 24V VVT,Integrated Voice Command w/Bluetooth,Radio: Uconnect 5.0,Locking Glove Box,GPS Antenna Input,Shelf Above Roof Trim,Media Hub,Passenger Double Seat,Quick Order Package 21A,Wood Floor,Vinyl Bucket Seats,5.0' Touchscreen Display,Media Input Hub,Transmission: 6-Speed Automatic 62TE,Interior Convenience Group,Additional Key Fobs,Steering Wheel Mounted Audio Controls,GPS Navigation,Speed Control,4 Speakers,Windshield Document Holder,50 State Emissions,Underseat Storage Tray,16' Wheel Covers Your satisfaction is our business! 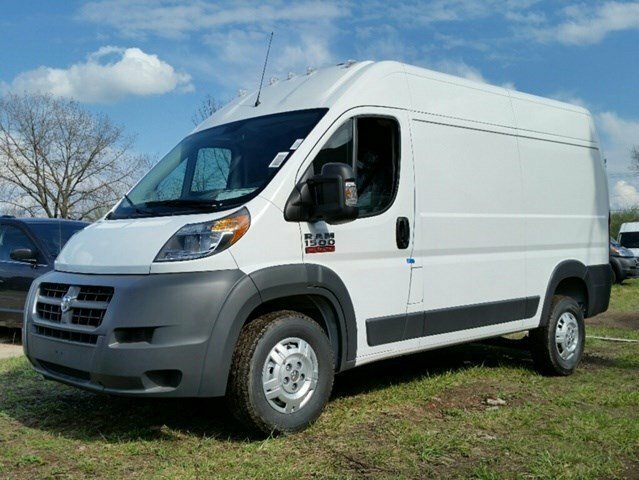 Introducing the 2016 Ram ProMaster 1500! Generously equipped and boasting stylish interior comfort, this vehicle challenges all competitors, regardless of price and class! Top features include power windows, a front bench seat, telescoping steering wheel, and air conditioning. Smooth gearshifts are achieved thanks to the refined 6 cylinder engine, and for added security, dynamic Stability Control supplements the drivetrain. We know that you have high expectations, and we enjoy the challenge of meeting and exceeding them! Please don't hesitate to give us a call.